The long holiday is an opportune time to take leave of the mundane city life for an exciting getaway. The problem is that everyone else thinks so too, and getting transportation or accommodation for a trip can be near impossible. Majority of the Korean population is expected to move during the upcoming Chuseok holiday, which will be 10 days long including the weekends, and nobody likes being stuck in traffic for 10 hours. For those residing in Seoul, finding things to do within a stone’s throw from the country’s capital may be the best option. Ditching the car altogether and opting for a public transportation or staying home is not a bad idea, but those looking to cruise around in a car may want to venture a little bit outside the city. Drive along Han River eastward from Seoul for about an hour -- depending on the traffic and your driving skill -- and you will come across Paldang Lake and the nature surrounding it. Dasan Ecological Park, named after the penname of great Joseon great philosopher and scholar Jeong Yak-yong, is a great picnic spot with various animal and plant life preserved. Jeong’s birth place, not far from the park, is worth a visit too. Paldang Dam itself is a little underwhelming, being neither grand in size nor sophisticated in design. The main attraction is the drive leading up to Paldang Lake which provides a charming view of the lake and the mountains surrounding it. While most would recommend a visit on a sunny day, the sight of Paldang Lake covered in fog is attractive as well, giving it a mystical atmosphere. Cheongpyeong Lake Gapyeong, Gyeonggi Province. 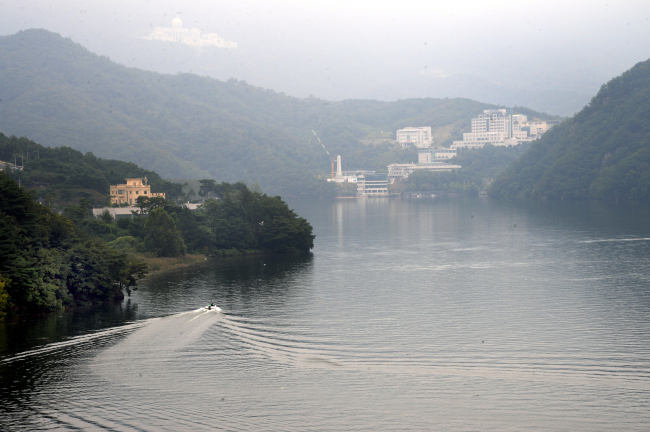 Cheongpyeong Lake is another place where the road meets beautiful scenery. A drive there feels special in fall especially because of the maple leaves that brightly color the roadside. There are a number of spots where visitors can temporarily park their vehicle and enjoy the nature, as they drive around the lakeside. The lake is also famous for being one of the hubs for water sports and activities. Motor boats and water skis score through the water, while anglers line the banks. The Han River is easily accessible from within Seoul, but seeing it outside the megalopolis is another story. In spring and autumn times, Guri Hangang Park literally blossoms with flowers. The fields are colored yellow in May with field mustard, and cosmos blooms in October. It is just around a 30 minute-drive from Taereung in Nowon-gu, northern Seoul, and view of the river and colorful fields all the way to the park await visitors. A walk around the park is pleasant in itself, but one can also rent a tandem bike to enjoy the cool autumn breeze. If you are looking for something to enjoy in Seoul, a drive around Bugak Skyway may show you a different side of the city. The 19-kilometer road runs alongside northeastern ridge of Bugaksan, and it is known as one of Seoul’s most scenic drives. It provides a view of the mountain on one side, and of the city on the other. 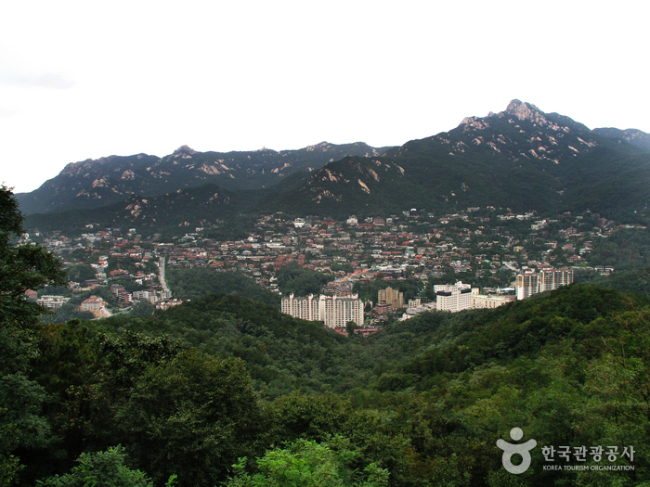 At an octagonal pavilion at the top called Palgakjeong, visitors have a panoramic view of the city. Be warned though, as the endless winding road may be too much for both the driver and the passenger.